Motivation can have many forms and it can hit you any time, anywhere. For me, personally, the motivation to finally and formally kickstart the publishing arm of my brand began with a chance meeting. Captain Rakesh Walia – a notable public figure – and his many talks have managed to find a fan in me, and I have become another name in his wide fan following. A man who pledged to lay his all down for his nation – and almost did that – before hanging up his uniform, has a past that not many of us may be able to comprehend when we look at his level of success today. That is what truly rendered much motivation for me. I read his book Broken Crayons can still Colour and many sleepless nights followed. Finally, when I was able to make contact with him, this warm personality told me more about his life. Having battled issues like child labour to educate himself and go from the streets to the Military Academy is stuff that dreams are made of! But where there is a will, there is a way – and I do not think I need to look further from this story to find my true motivation. Yet, there was more in store for me. I was to meet motivation in the true sense, not with his life story alone – but with a story that he was holding within himself. As he wrote and I edited for him, I realised the very depth of his love for his motherland and the skill that has helped him get where he has in any and every niche that he has touched. 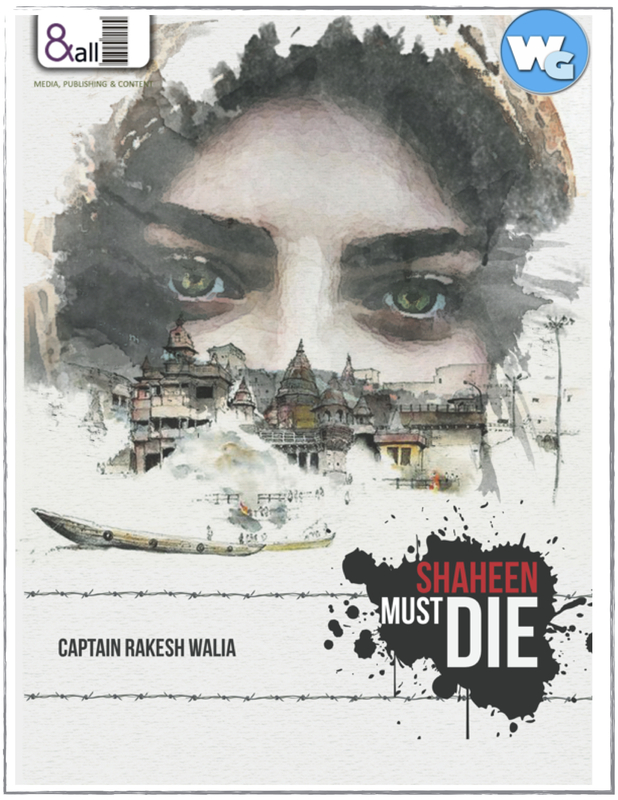 Thus, Shaheen Must Die was born – and so was my childhood dream of seeing my logo on bookshelves across the country. A publisher was born! 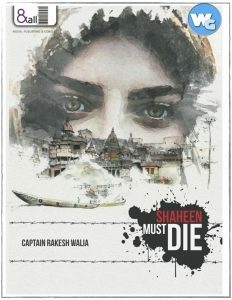 Shaheen Must Die is an intense and patriotic love story that thrills you to the very end. Yet, what I also love about the book is its soothing quality which acts like a sweet lullaby as the action waits to explode onto your senses. Capt Rakesh Walia has masterfully created a story that goes from a prison cell, to the highest corporate echelons and finally finds itself in Kashmir in the garb of a righteous army officer. The twists and turns unravel in a delicious way, with the writer beautifully bringing each chapter to a cliff hanging, breath taking finish. 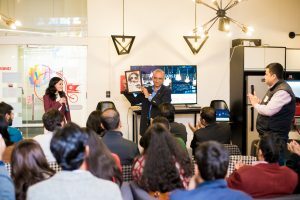 Once the book was written, it was Capt Rakesh Walia who motivated And All and Writing Geeks to partner and create a publishing platform stemming from a shared love for the written word. With a cover launch that happened at the LinkedIn Talks Event in Delhi on the patriotic Republic Day occasion, to a proposed Valentine’s Day release, motivation is running high with this great man backing us all the way! His encouraging words and his pledge to divert proceeds from the book sales to the cause of orphans has left us highly motivated to do our best and create high quality stories as a publishing house! Yet, here too we are doing things with a difference. As a boutique publishing house, we are planning to distribute all our titles in exclusive book clubs formed through a referral program for readers. This will take books straight to the readers who find value in our titles and it will help us build meaningful author brands, instead of their work getting lost in the crowded bookstores.